Tickets will be on sale from November 15th to December 2nd. Tickets must be purchased in advance. 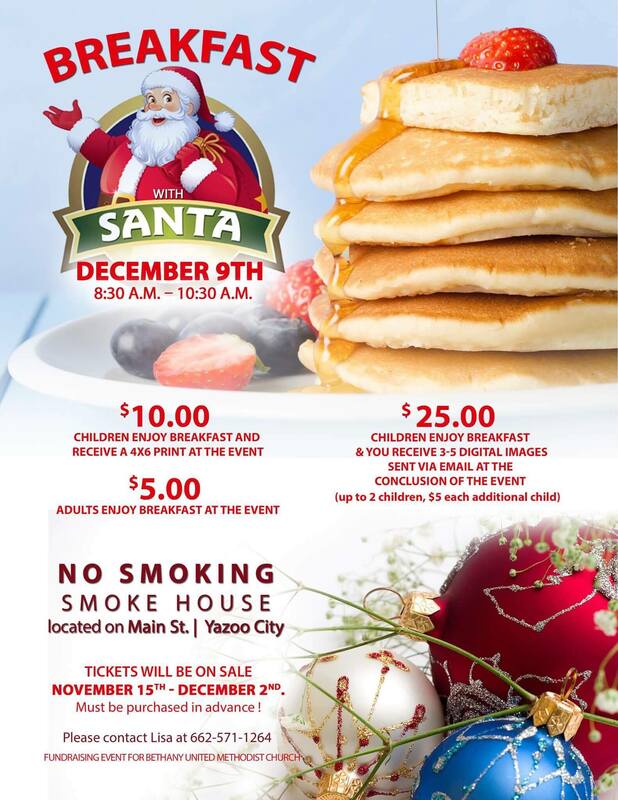 $25.00 – Children enjoy breakfast & you receive 3 to 5 digital images sent via email at the conclusion of the event. Please contact Lisa at 662-571-1264 for more information or to purchase tickets.